This is our Model 33 pocket clip. It comes with a black DLC finish. 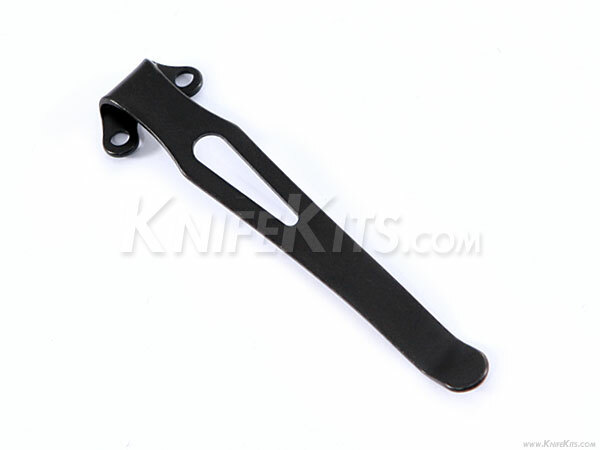 Using industry standard 2.5 x 4.5mm or 2-56 screws, this clip will work for almost any knife design. 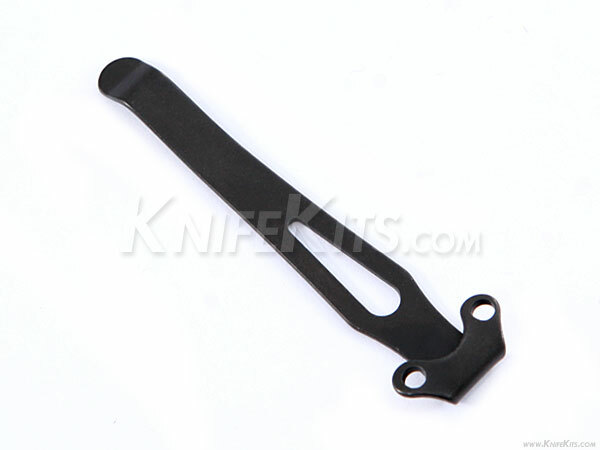 This pocket clip will make an excellent option for your carry. Width of the clip's attachment point: .625"